Microsoft's pay-as-you-go Office 365 is, first and foremost, a subscription. And like other subscriptions — think newspapers (remember them?) or an online storage service — missing a payment doesn't immediately mean you're cut off. Users have normal access to all Office 365 applications and services under the company's plan. Already-installed applications can be launched, no data will be scrubbed from Microsoft's servers — such as email messages or files stored on OneDrive for Business — and additional applications can be added to a user's devices. 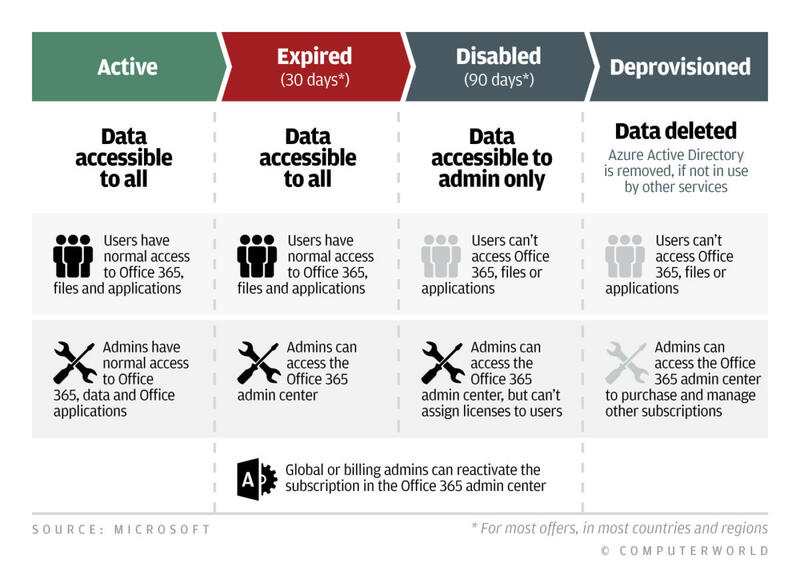 This story, "What happens when an Office 365 subscription expires?" was originally published by Computerworld.